One of the most elusive skills for clinicians is learning to read EKGs. Even those who learn to recognize textbook examples at the drop of a hat may suddenly find themselves stumped in a real-life situation. You see, as with many things in the medical world, not all EKG patterns follow textbook examples. However, this brings us to question who should be able to decode EKGs? Should doctors alone be responsible for this important skill, or should you and your coworkers also be able to recognize the patterns and measurements? A normal EKG rhythm cycle should have several distinct waves, which are the P wave, the QRS complex and the T wave. The P waves indicates electrical activity in the atria. The QRS complex shows ventricular electrical output, and the T wave is the resting phase. A close look at a normal heart rhythm would show these waves occurring in proper length, form and rate. Emergency situations occur when the atria or ventricles fail to fire correctly. Your patient will often be found pulseless. During an emergency, you’ll need to be able to read the EKG strip quickly but accurately to make a snap decision on what should be done for your patient. Now you may be wondering why you need to know all of this detailed information. Surely, a code is about saving a life, not identifying tiny strips of pink paper! However, as a first responder, you’ll need to be able to recognize a few EKG rhythms quickly. In fact, you should be able to identify them in only a second or two. The first and most obvious emergency rhythm is asystole. This one is easy to recognize because it’s a flat line. There will be no electrical activity on the EKG. The second important rhythm is ventricular fibrillation. This wave pattern will show only the QRS complex, but there will be no rhythm or symmetry to the waves. Ventricular tachycardia is similar to V-fib in that it only shows the QRS complex. The rhythm appears regular but fast, and the waves are not as chaotic as they are in V-fib. Finally, pulseless electrical activity can appear as nearly any recognized waveform on the EKG. However, your patient will be unconscious and have no pulse. If you are like some first responders, nurses and EMTs, you may think that these intricate waveforms should be left to the doctors to decode. After all, they’re generally in charge of the code. However, as an ACLS-certified health care provider, you also have a responsibility to participate fully in a code and even to help run it, especially when no doctors are present. The playing field becomes a bit more level in these situations. 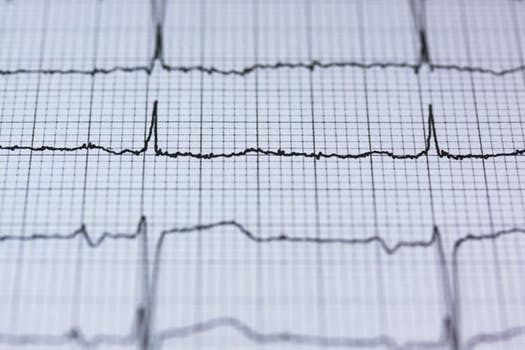 While doctors should certainly be able to recognize EKG rhythms, you must know them intricately as well if you hope to save lives by following ACLS algorithms. You may find it easy to learn these EKG rhythms. On the other hand, you may stumble over them because no two seem to look alike and very few follow textbook examples. Your ACLS certification class is a great place for you to begin learning real rhythms. Your textbook here will provide you with great examples, and the scenarios you’re in during class will help you recognize these basic rhythms quickly. Plus, by learning other EKG rhythms that often lead to lethal consequences, such as third-degree heart block, you’ll be able to monitor and treat your patients before they end up in these emergency situations. While you may not be able to provide everyday medical treatments based on your EKG reading as doctors can, it is certainly still an important skill to have in your back pocket. This knowledge can help you recognize how your patient is truly doing, if his or her status is becoming more critical and what treatments your patient needs when coding. Your ACLS training in EKG interpretation is paramount to a proper response during cardiac arrest or symptomatic episodes. This is one skill that you do not have to leave up to the doctors. What’s a Megacode and What Should You Do to Prepare? What Kind of CNA Classes Can I Take?